At Ightenhill Primary School the health, safety and well-being of every child is our top priority. We expect all staff, governors, volunteers and visitors to share this commitment to safeguarding our pupils. We listen to our pupils and take seriously what they tell us. All school staff are trained in safeguarding procedures, and children are made aware of the adults they can talk to if they have any concerns. Staff are trained to look out for signs of physical/emotional harm or neglect and are required to report these to the Designated Senior Leader(DSL). The procedures which we follow have been laid down by the Lancashire Safeguarding Team and the school has adopted a Child Protection Policy in line with this, for the safety of all. On occasions, our concern about a child may mean that we have to consult other agencies whom we will share information , in line with school policy guidelines. We will ensure that all concerns are discussed with parent/carers first, before any referrals are made, unless we believe that such a move may be contrary to a child’s welfare. As part of our Internet Safety Day, we invited parents into the Key Stage 2 hall for an assembly on how to keep children safe on the Internet. Here is the PowerPoint that the parents look through. If you were unable to attend, please take a look through and visit the websites advised. 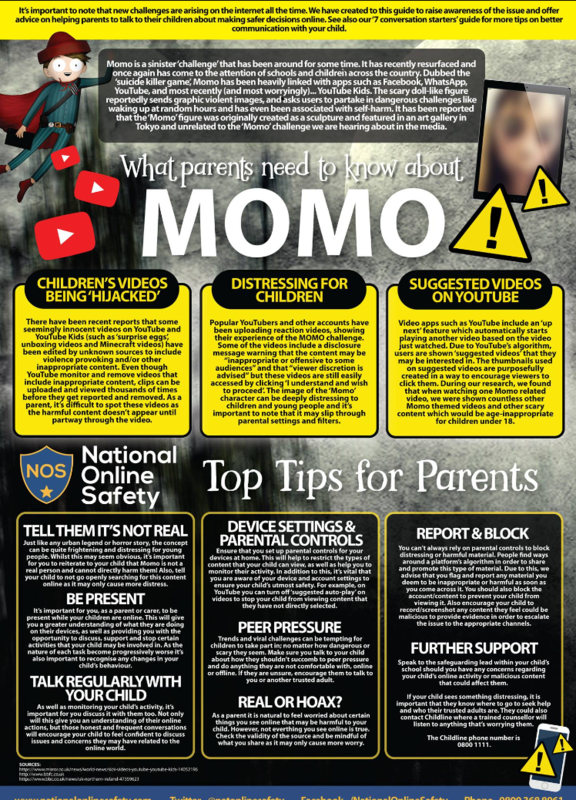 Please click the links below for the latest internet safety advice.